Learning their trade: Apprentice gardeners Callum Gradwell, Sean Mitchell, Sean Rainford, Alex Burbridge and Max Foster. Welcome to my last blog before recess. As the summer break approaches I thought I would take the time to reflect on our positive progress, as well as outline the challenges we face when we return at the end of August. On a recent walk through the town centre, I was really pleased to see how busy it was. 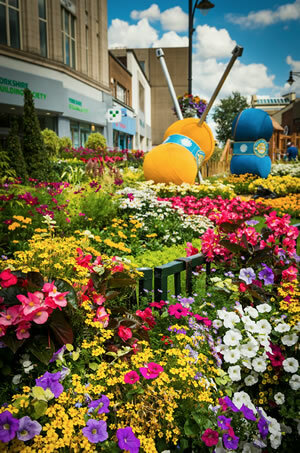 The fabulous Britain in Bloom display looked glorious in the sunshine and the sound of youngsters playing happily was coming from the new children’s play area next door. There has been a lot of feedback recently from people saying that Oldham is looking the best it has in years – and I agree! It has taken a lot of hard work though (glad it’s nearly the holidays!) 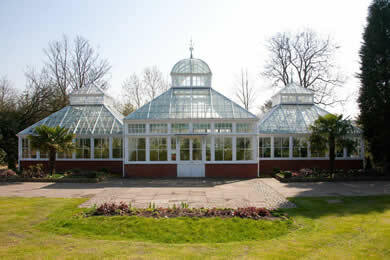 and thanks are due in no small part to the excellent council teams who grow the plants and plan and maintain the displays. They excel themselves, producing displays even better than the year before. I need to also thank the in-house team who designed and built the children’s play area – the town centre really is ‘Made in Oldham’! Looking down High Street, (past the buskers who were entertaining the crowds and generally adding to the atmosphere) I could see the wrapping around the Old Town Hall. The covers and scaffolding mask the industry taking place inside to turn it into the Town Centre’s first cinema for nearly 30 years. It was really great to see the Gallery Oldham exhibition on the history of Union Street. One of the displays showed the original signs, posters, doors and exit sign from the town’s last Odeon! We’re coming full circle and soon a state of the art cinema will open its doors. And it isn’t just the physical place that is changing – economic growth is also on the up for people of all ages. The number of people claiming Job Seekers Allowance has reduced by around 46 per cent since this same time last year, meaning we are now ranked third in Greater Manchester and we are currently the best performing across the region for those aged between 18-24 claiming JSA. Now caution is needed on these figures. We know Universal Credit and sanctions have affected the official figures but there is no doubt things are improving as we go full force on Get Oldham Working. And as if that wasn’t enough, we received the welcome news this week that for the first time since the recession weekly wages have risen and Oldham no longer sits at the bottom of the league table of average incomes in Greater Manchester. We still have a long way to go and we must not take too much from small gains. We know only too well that for too many a Living Wage is not within reach as they struggle to make ends meet. For Oldham to be the borough we want, it must be that if you are willing to work hard, then hard work pays. We will continue our push for economic growth but also to ‘raise all boats’. The future looks bright for our youngest residents too. The launch of our Education Commission to raise local standards and aspirations was followed last week with news that Oldham’s primary school pupils achieved record SATS results. Provisional results show that 79.9 per cent of the borough’s 11-year olds are now hitting the national standard expected in reading, writing and maths. Congratulations to those pupils, their families and their teachers – enjoy the summer break! The new UTC (University Technical College) will soon be open and the new Digital Skills Centre at Oldham College will offer our young people modern skills. Our Sixth Form College continues to excel, and around 100 university graduates walking through town highlighted how importantly we view education. But we know we can do better. For too many of our young people, the kids in the middle, they just ‘get by’. In a modern Oldham it isn’t enough just to get by when our ambition is for every young person to realise their full potential. So things are looking up, but the borough’s resilience to market conditions needs to grow. Oldham has a tendency to be severely affected by small fluctuations in the economy and the labour market. Boom can turn to bust very quickly – as we have witnessed in the past. As for me, there is still a few days to go before the start of recess and it continues to be busy with the Britain in Bloom judges visiting tomorrow. I hope they are impressed, I know many Oldhamers are. 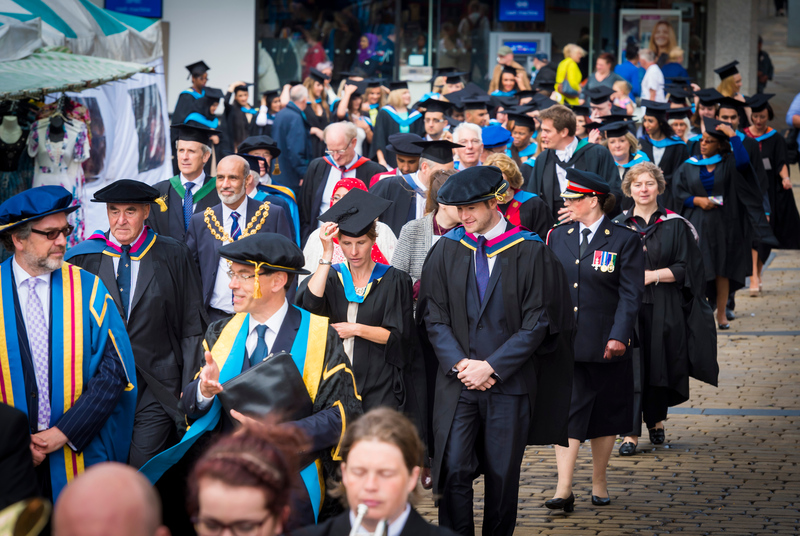 HATS OFF: I was humbled to join University Campus Oldham’s stream of graduates last week. OLDHAM has a strong heritage when it comes to enterprise. From being King Cotton to the home of both Seton’s tubular bandage, the Lancaster Bomber, and the birthplace of the first test-tube baby, this borough’s timeline is marked with great examples of innovation and progress. I am committed to ensuring that this strong tradition continues. That’s why encouraging enterprise and business to thrive is at the heart of our 30 pledges for Oldham – and people of all ages here are, as always, rising to that challenge. Our Enterprise Fund, helped by a £1m donation from another local entrepreneur Norman Stoller CBE, is designed to help boost our next generation of entrepreneurs by giving them a ‘hand up’ in getting new businesses off the ground. The fund has already attracted 82 applications of which 18 have been successful to date. The amount awarded so far is £161,200 and that investment has supported 8 start-ups and 10 growth companies. In May this year we also launched a number of Enterprise Hubs in our secondary schools. The Enterprise Hubs are collaborations between schools, students, local businesses and external partners who will offer a range of activities, services and support. These range from careers and employability-related events and workshops to supporting students and even to creating a fully functioning enterprise giving young people practical experience of the joys and pitfalls of starting a real business. The hubs also encourage employers from around Oldham to work with schools, offering hands-on support and advice to students about the skills required to break into the various industries operating across the borough and the wider region. This is all about ensuring that our future generations are well-placed to play their part in the future workforce. And it’s not just enterprise opportunities for our younger residents that are available – Oldham Council is doing its bit to support and promote the entrepreneurial talents of adults too. We’ve recently partnered with Etsy.com, the leading online marketplace for handmade and vintage goods, to develop the UK’s first Etsy Craft Entrepreneurship Programme. Find out more here. So far 24 learners (aged from 18 to 59) have signed up for the first course which will be held at Oldham College in the summer. Two further courses are planned for autumn 2014, with the hope to expand further in the New Year, so watch this space. We’re also supporting our local independent traders with £1m recently invested to help them revitalise an area of Oldham’s town centre with massive potential – the new Oldham Independent Quarter, which is the triangle area between Yorkshire Street, Clegg Street and Union Street (East). In the last six months, there have been seven new independent businesses relocated into the area with another six in the pipeline and you can learn more about this opportunity here. Such has been the success of this that we are now rolling it out for trial in two other parts of the borough. On Monday, Cabinet approved a £200,000 investment to be shared equally between Shaw and Lees high street traders. We hope it will be a catalyst for creating more vibrant district centres and new jobs, leading to stronger and sustainable local economies. On the subject of enterprising Oldham, it would be remiss of me not to mention the latest exhibition at Gallery Oldham. ‘Revolution in the bedroom’ charts the early years of computer gaming and looks at how affordable computers enabled a new generation of young programmers leading to the growth of the gaming industry and the consoles and games we play today. So what’s the link to enterprise in Oldham? Well, it’s the fact that Ferranti, which was based in Hollinwood, produced the very first commercially available computer – the Ferranti Mark 1 – which, I guess, we could argue also makes our borough the cradle of the digital revolution. I was humbled to receive an Honorary Fellowship from University Campus Oldham for community leadership last Friday. Taking part in the procession through the town centre beforehand was both nerve-racking and exciting in equal measure and it meant a lot to me. I didn’t have the opportunity to go to University and if, I’m honest, I didn’t even consider it. You never know, the sight of those 100+ beaming graduates walking through town might have just planted a seed in the mind of a young person looking on. I certainly hope so. I was joined in receiving my honour by David Bellis MBE. He was one of the leading entrepreneurs behind Coin Controls in Royton, which is now a multi-million pound company, and I can vouch that he is a very impressive man. Well done to David – and to all those worthy graduates! Finally, I must close by wishing good luck to our local sports stars who will be competing in the Commonwealth Games which start today in Glasgow. Swimmers Jessica Fullalove and Jessica Lloyd and hockey player Nicola White are fantastic ambassadors for our borough and I’m sure we all wish them well in fulfilling their hopes and dreams on a huge international stage. Sport may seem a very glamorous thing to do, but it’s very easy to forget the huge daily sacrifices that they will have made to get where they are today. The constant dietary restraints, the early morning winter training stints and the steady stream of injuries and niggles really don’t seem glamorous to me at all. I’m in no doubt that it takes incredible levels of personal commitment and dedication to achieve what they have so far. We’re all proud of them and will be cheering them on in the weeks ahead. 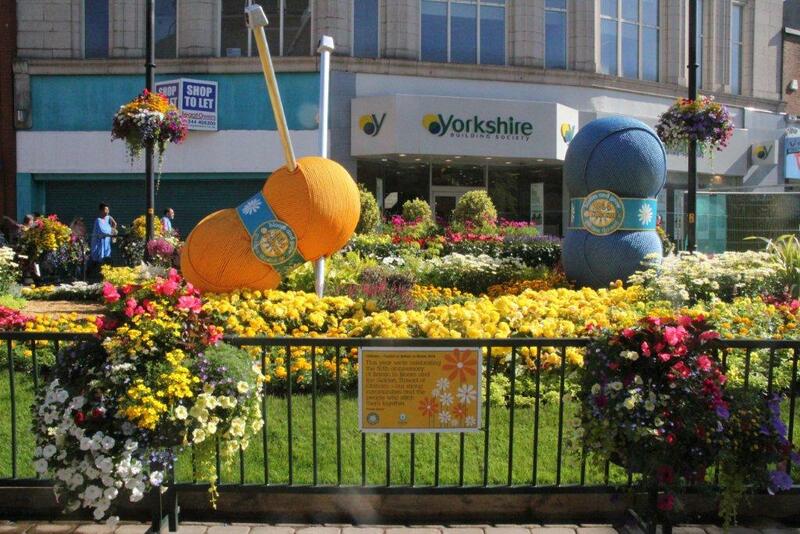 BLOOMING: The WOW bed is again proving a stunning summer centrepiece in Oldham town centre. OLDHAM Town Centre made for a fantastic sight last weekend. The sun was shining(! ), the streets were bright and clean and the flowers in the epic WOW bed on High Street were at their blooming best. The town centre was also playing host again to the vintage and classic car show which has now become a popular fixture in our annual calendar of events. This year’s line-up did not disappoint with plenty on show for visitors – including my own personal favourite, the Ford Cortina. Alongside the car displays and flowers you could also see work entering the final phases on our new outdoor childrens’ play area, located just outside the Primark store, which opens this weekend. We’re installing this as part of our recognition that retail and town centres are changing. For Oldham to succeed and grow as a place we have to focus on providing new things like this that will offer a better experience for visitors, and especially families. My main reason for being in the town centre this weekend, however, was a far more reflective one. This year marks 100 years since the outbreak of World War One and a town centre parade had been organised at Oldham Parish Church. Civic guests, ex-service personnel, cadets and voluntary organisations were all invited to walk from the Civic Centre through town for the occasion. The place was bustling with visitors who had lined the High Street to watch the parade led by the Royal Regiment of Fusiliers and the Mayor of Oldham in all their splendour. Standard bearers provided a Guard of Honour up the church steps and there was a lovely touch as the magnificent Memorial Drums, which are usually on display in the Civic, were used as an altar: harking back to their use on the battlefields of the time when a chaplain would use them while holding a memorial service. Our new Mayor, Councillor Fida Hussain, spoke at the service and recounted our contribution to the war effort and how it made its mark on our borough. His words proved a very stark reminder that – as well as those brave men who left town to go and fight for their country – we must also remember the human costs back at home which affected whole communities. It is mindboggling and difficult to comprehend what the sheer horror and fear of individuals and family members at a time of such uncertainty must have been like – especially given how long it took for news to arrive back at these shores. The contribution of local women to the war effort was also a reminder that life did simply have to carry on. For Britain to succeed and defeat the German advance the work of these women was absolutely essential: ranging from nurses going to the frontline to help injured servicemen to the home effort and the need to keep producing equipment, supplies and – of course – holding communities together. 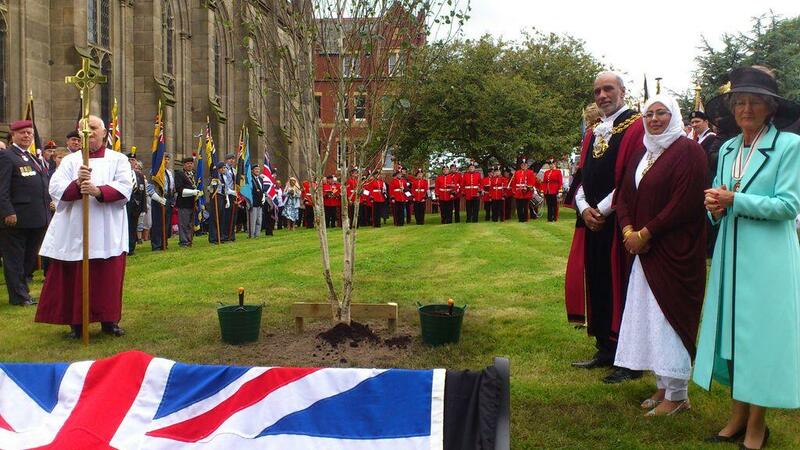 PLANTING: A memorial tree was planted to mark the contribution local people made to the war effort. After the service we followed the Mayor outside to plant a tree to commemorate the First World War in the church gardens. This Silver Birch has three branches to represent the army, navy and royal flying core, with its trunk representing Oldham. This was kindly donated by the Life for a Life charity, along with a granite memorial stone, which was also unveiled in what proved to be a very humbling and moving afternoon. The event was organised as part of our commitment to honouring the contribution that local people made to the war effort. I was very proud of the efforts made by all partners working co-operatively so that we could mark this important centenary in fitting style. I do hope that future generations who take a seat on that bench or look up to that tree will be inspired to reflect. One day our thoughts will turn to the centenary of the Second World War and then these arrangements will be in their hands. I’m certain they won’t let us down. PLUGGING IN: New electric cars save money and are being shared with partners across the borough. THIS WEEK saw the exciting arrival of seven new electric neighbourhood patrol vehicles which you will soon be seeing in action across the borough. These eco-friendly Nissan LEAF cars will start to replace some of our now ageing fleet. The reduction in carbon emissions they offer will also help improve air quality on our streets – so it’s a definite win-win all round for Oldham. This is part of our renewal process for council vehicles which is all about going ‘back to basics’ and ending the days of expensive lease deals. We reviewed all areas of spend when we came into control of the council and it was very clear that the cost of such contracts simply don’t provide good value for money. Although we still hire in some vehicles when it is more cost effective, the chances are that if you see a council-branded vehicle now – from bin trucks to road sweepers – it will be owned by the taxpayers of Oldham. Saving money is always a good thing. As an added boost to the local economy we were also delighted to be able to purchase the vehicles from Westway Nissan on St Mary’s Way. Clearly they won by offering the best deal but it is great to see the public pound benefiting Oldham firms. The only real effort on our part is making local companies aware of upcoming tender opportunities – then it’s over to them to offer the best package to the taxpayer. Each of our six districts will have use of one of these electric cars which will be booked on a ‘pool’ arrangement by staff across teams using the same vehicle. The seventh one will be made available for our Enforcement Team who deal with matters like flytipping and gather evidence that could lead to prosecutions against criminal activity that blights our borough. As part of our approach to co-operative working with partner organisations these vehicles will also be shared with Greater Manchester Police and Greater Manchester Fire and Rescue officers who will use them as patrol vehicles. To take account of the harsh weather we sometimes endure in these parts we’ve also purchased two 4×4 vehicles which will again be shared across the council, police and fire service to promote further efficient use of public assets. These electric vehicles are part of the council’s driving commitment to green transport. They have no tailpipe emissions and produce less carbon dioxide than their petrol and diesel counterparts. In tandem with our work with partners across Greater Manchester, Oldham is also committed to reducing its carbon emissions by 48 per cent by 2020 – an ambitious target – so we are leading by example here and hoping others choose to plug in. Through the Greater Manchester Electric Vehicle (GMEV) scheme, electric vehicles can now be charged up at several locations across the borough. 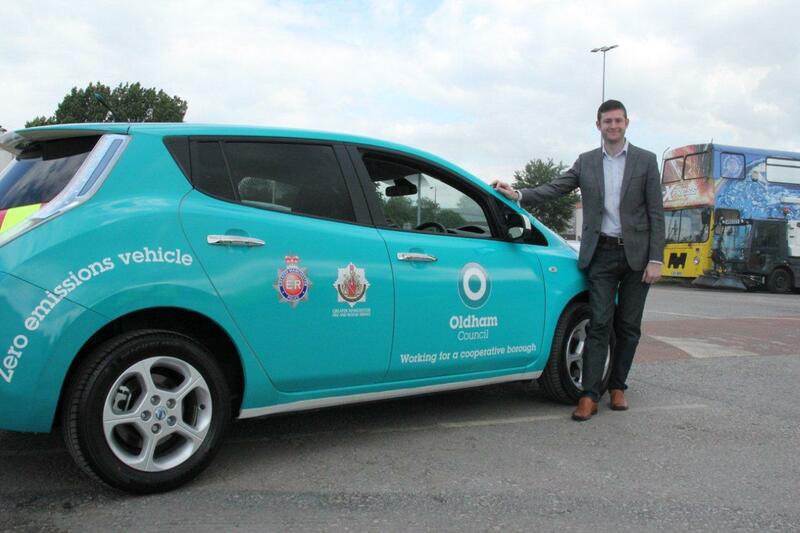 There are already five charging points in Oldham Town Centre and another six across the districts. Details of all charging points across Greater Manchester can be found here. The running costs on these cars are very economical with free road tax and, in some cases, free battery charging, so they represent a very cost-effective alternative to traditional fleet vehicles. The cars show our commitment to the environment and value for money then – but also to working together with other organisations at a local level. Our 30 manifesto pledges for a Fairer Oldham were clear that we would deliver investment in electric vehicles but would also work to bring council, police and fire and rescue staff together in one location in your area. We believe this will improve communication, promote better sharing of resources and mean better services for you. Many people still think of electric cars as something rather futuristic but it may surprise you to know they’ve actually been around for more than a century. It was AmericanWilliam Morrison who built the first proper electric vehicle in 1891. This was capable of a top speed of 14 miles per hour and led to electric cabs hitting the streets of New York in 1897. The introduction in 1908 of the Model T Ford then saw mass production of petrol powered cars surging ahead and led to the demise of electric cars in the 1920s. It was not until the 1960s – as concerns about air pollution rose – that the electric vehicle debate came back onto the table and it has taken a long time to get to a point where we now see vehicles like Nissan LEAF in mass production. PROGRESS: Our new Nissan Leaf car vs. the 1960s Enfield thunderbolt prototype electric car. As you can see from this picture (above), the new vehicles are considerably better than the Enfield 8000, a prototype electric vehicle which was ahead of its time when around 100 were built by the United Kingdom Electricity Council in 1966. It wouldn’t be right to blog about cars without mentioning the return of Oldham’s Vintage Classic Car Show this Sunday. This is taking place on High Street in the town centre between 10am and 3pm. Why not pay a visit, enjoy looking at some of the classic cars from years gone by, chat to other enthusiasts, take in the music and entertainment and do some shopping. You can read more about the event by clicking here. More importantly, on the same day we also have a Civic Procession and service to commemorate 100 years since the start of World War I. The parade, which sets off from the New Radcliffe Street car park at 1.30pm (next to the Tommyfield pub) will be joined by ex-service and voluntary organisations, the Royal Regiment of Fusiliers, the Mayor of Oldham and invited dignitaries. The service at Oldham Parish Church (starting at 2pm) will feature a performance from the Oldham Music Centre Youth Choir and a ceremonial Guard of Honour up the church steps. We’re encouraging people to line the streets and show your support for service personnel past and present on the day. It’s all part of our commitment to honouring the contribution that Oldham people made to the war effort. AIMING HIGH: Estelle Morris with Carolyn Wilkins, Chief Executive of Oldham Council, and Jim McMahon launching the new Oldham Education and Skills Commission at Stoneleigh Academy. 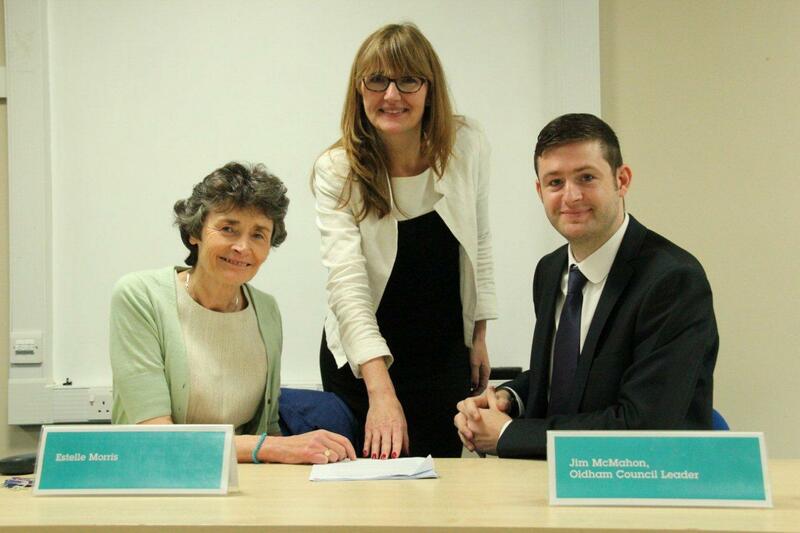 MONDAY WAS a big day for the borough as we launched Oldham’s new Education and Skills Commission. Chaired by former Education Secretary Baroness Estelle Morris, the Commission will help to raise local standards and aspirations – and it is absolutely vital to our plans to secure future prosperity for Oldham and its young people. It’s important to be clear that young people have made great progress in educational attainment across the borough over the past decade – including closing the gap on the national average in the key GCSE performance indicator. And it’s not just the older children who are making great strides. 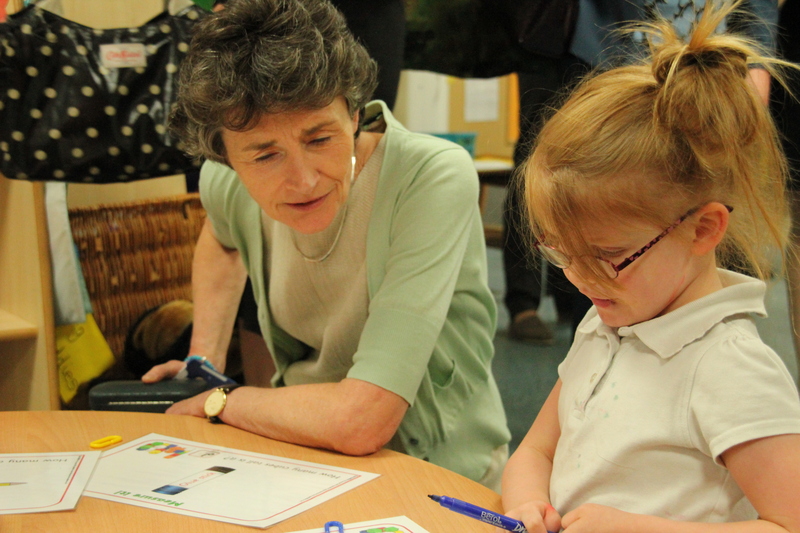 Attainment at Key Stage 2 for both English and maths in our primary schools has risen approximately 12 per cent over the past ten years and now either matches or outstrips the national average. This bodes well in terms of future attainment at GCSE level. Unprecedented investment has also been made in state-of-the-art new school buildings, upgrading existing facilities and expanding to accommodate growing pupil numbers. Over the past five years there’s been around £230m of investment in schools, much of that coming from the Building Schools for the Future programme and PFI schemes. We’ve also seen the landscape of education change with the growing number of academies and a soon to be opened University Technical College, for example. The role of the council in that mix has changed. Whether that’s for the better or not only time will tell, but it does require a whole new way of thinking, operating and working cooperatively. Although we believe bricks and mortar are important, successful education is about so much more than that. It’s about leadership in schools, sixth forms and colleges and from parents and the wider community. Flagship schemes like Junior University, Enterprise Hubs and Primary Engineer get attention for all the right reasons, but each and every day sees something wonderful happen. Often it’s the smallest thing that can set off the spark in our young people. So, we are making progress, and given those advances, you could be forgiven for asking why Oldham Council and its partners are spending time and money on launching a Commission. Well, for me the answer is simple. A good education is the essential foundation of a fair society and – as the national education system and the regional jobs market continue to undergo great change – we must ensure we’ve got the right skills and knowledge here, plus the right benchmarks, focus and vision to inspire and enable all children to fulfil their potential. Put simply, future success is not guaranteed and we cannot be complacent. I’m a politician and I have a drive to ‘change’ things for the better. I want to end predetermination. I get angry that professionals can track a child born into an Oldham household today and be able to predict what results that child will have, what experiences, what social networks, what job, illness and what age they will be when they die, and probably even the likely cause of that. What makes me angry isn’t that the professionals dare to predict, but that history tells us they are pretty likely to be right. And you don’t have to be a parent to feel that anger. It goes against fairness and hits at the heart of our aspirations for our borough. Setting up this Education Commission now is about showing the leadership necessary to ensure all partners take part and buy into a process that challenges us all to look closely at our standards and delivery. Our ultimate aim is to define a new ‘Oldham Education Standard’ that all partners will aspire to achieve so that young people can meet the challenges they will face in future years. As well as looking at how we can help young people get better results, the Commission will focus on the economy and unemployment. It will link closely to Get Oldham Working and see how that fits with our education offer, how we can help young people move into Higher Education or prepare them for meaningful employment and the job market of the future. By 2023 around 100,000 jobs are forecast to have been created in Greater Manchester and almost 200,000 additional jobs created in the North West over the same period. 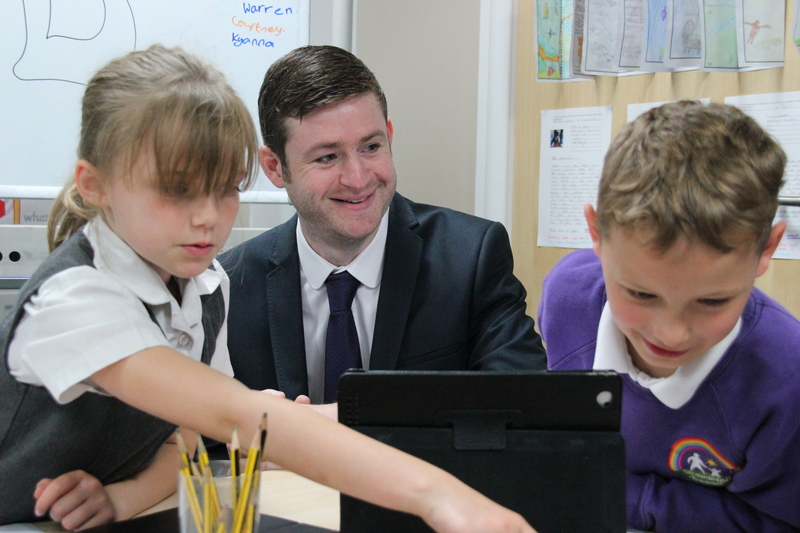 We need to give Oldham’s children the best possible chance of securing these jobs. Figures also suggest that an increasing number of roles in Greater Manchester will be created at the higher and lower ends of the skills ladder, which means there will be fewer at intermediate levels. We need to ensure our young people are educated to the appropriate levels needed to make the most of these opportunities. The Commission will submit interim findings in January 2015 before delivering a final report in June 2015. This is about putting in place strong foundations to build on. If we want a better Oldham we must fight for it. We have a good story to tell, but we can and must be better.